A coffee table is a part of living room’s decoration. Nowadays, there are plenty ideas of a coffee table. One of the latest ones is using steamer trunk as a coffee table. As we know, a steamer trunk is a kind of luggage with a shape of a big rugged trunk. It has a flat surface so it can be used as a coffee table. In the past, steamer trunks were used for long trips on boats but today, they can be found in houses for a storage chest and currently for a coffee table. Most of them have a vintage look but there are also steamer trunks built in a modern style. Generally, a steamer trunk has a body made from thick metal or wood, sometimes trapped with bands made from leather or metal. The strap aims to make the trunk sturdy. The exterior can be unadorned or extremely decorative. 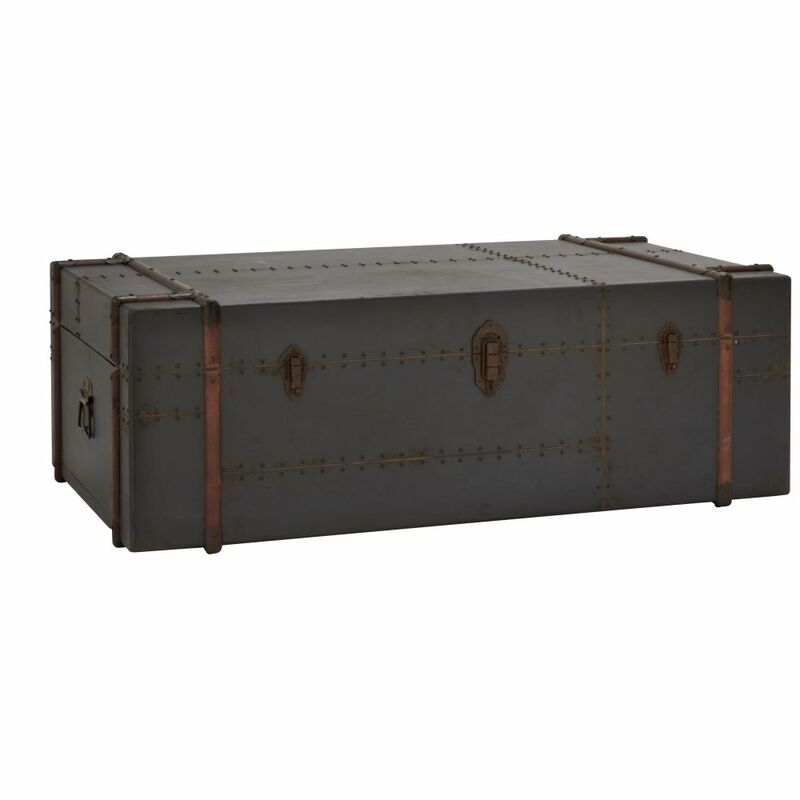 The decorative steamer trunks are often lined with embossed metal or leather. The inside is lined with fabric or leather. Are you interested in having a steamer trunk coffee table? There are numerous products on the market you can choose. Here are a few of them you might be interested in. If you have a rustic living room design, Beaufort Steamer Storage Coffee Table designed by Sierra Living Concepts can be a great option. 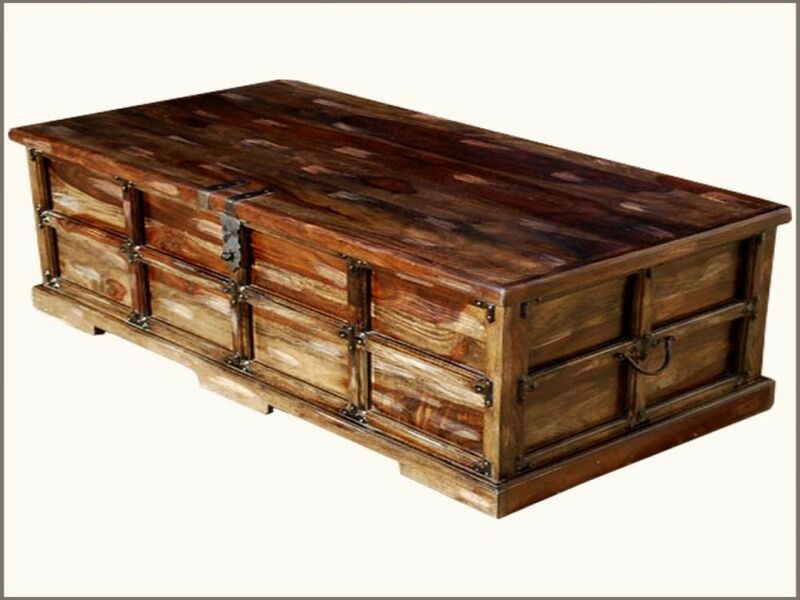 Designed as a decorative storage trunk, this rustic piece can really implement your rustic living room. 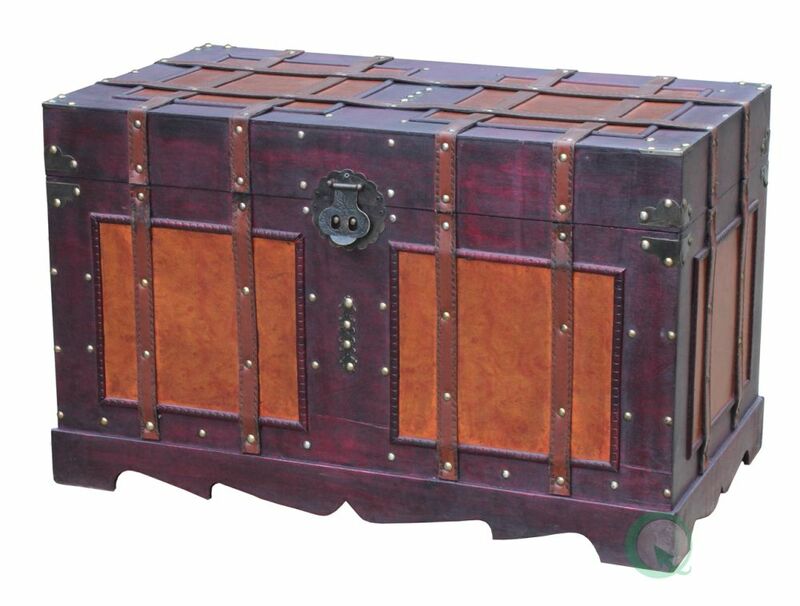 This trunk is very sturdy as it is made of Indian Rosewood which is well-known for being one of quality hardwoods with side handles made of wrought iron. In addition, this decorative trunk is completed with front latch for safety purpose. Not only is it wonderful for old-fashioned rural decor, it is also ideal for Eco-friendly decor. It looks gorgeous due to its hand-crafted details. Since this storage is quite large, it is not really recommended for a small room. Do you like an antique style? Take a look at a steamer trunk coffee table by Vintique Wood. Compared to the previous trunk, the Antique Style Steamer Trunk is much smaller and less expensive. Its traditional style and old-fashioned hardware contribute to the fine-looking antique look. This great treasure box is handcrafted to enrich the existing scheme of your room with old time nuance. 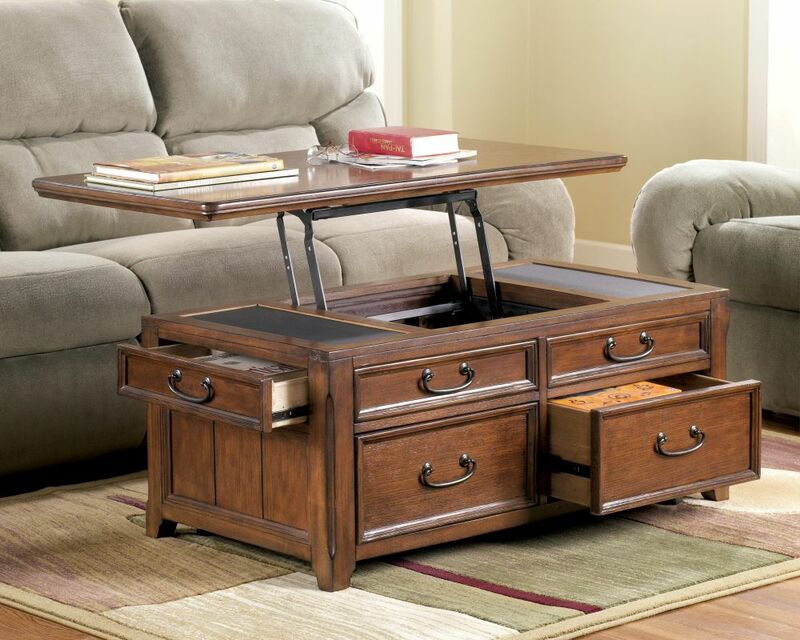 Or, you might want a combination of the modern and classic style of a steamer trunk coffee table by Woodland Imports. Unlike the two previously mentioned trunks, the Woodland Imports trunk coffee table is not distressed. Another thing that makes it different from other storage trunks is the position of the drawers. They are neither on the front nor the back but on the sides of the piece. It is made of a combination of metal and premium pine wood with a dark gray finish which makes this piece remarkably sophisticated. When you see this item for the first time, you will feel that it’s solidly crafted and yes it’s true. With its mid-century style, the trunk can create a mysterious yet elegant ambiance in any rooms.